The legend of astronaut Michael Collins lives on in middle grade books. Collins was the one who stayed back in the Apollo command module as fellow astronauts Neil Armstrong and Buzz Aldrin made the historic first walk on the moon. He first appeared in 2017’s historical, I Love You, Michael Collins, set in 1969. Ruby in the Sky is set in the present. Ruby and her mom have been on the move since leaving their home in Washington D.C., never staying in one spot long enough to get connected to a new community. Ruby’s father was left behind. The why isn’t revealed until the climatic end. Ruby stays close to him by looking at the moon. It’s what they always did when separated. Vermont is their current spot and before they can get settled a policeman is at their doorstep. Told through Ruby’s twelve-year-old perspective, the story is full of heartbreak and engaging characters with their own often hidden pasts. The subplot of Michael Collins comes in as Ruby chooses him to research for an oral report—a frightening event for a girl who likes to stay hidden and silent. Ruby’s tale will grip you to the end. Her friendships with Abigail, the old lady who lives in a shed, and fellow classmate, Ahmad, give her the strength to make her life right. In the end you just might stare at the moon and smile. Ruby, Abigail, and Ahmad’s past come together in a celebration of their differences. It’s nice to have a book where the secondary characters aren’t just there to fill space. Ruby faces real and difficult challenges many kids will find familiar. Themes of friendship, empathy, and healing give us all a connection through the beautifully written words. The “Ruby Moon” cover is a winner. A breast cancer survivor, Jeanne has been a public defender, taught English at the Gymnazium Parovska in Nitra, Slovakia, worked on Capitol Hill and waited tables at an all-night café/bookstore in Washington, D.C.
She is a member of SCBWI and has attended numerous writing conferences, most notably: Rutgers One-on-one Plus, namelos, Patricia Reilly Giff’s Writing Class, Whispering Pines and the Time to Write Retreat. 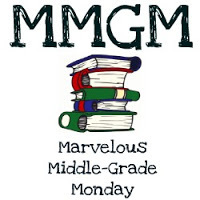 This entry was posted in Middle Grade Book Reviews and tagged female protagonists, Jeanne Zulick Ferruolo, Marvelous Middle Grade Monday, Ruby in the Sky. Bookmark the permalink. I enjoyed your review. The cover is gorgeous and the story is engaging and a tad mysterious. I love stories with unusual/quirky characters that bond for a common good — Ruby. What a tremendous support system for Ruby. Will check our this book. sounds like a thoughtful story. The cover is stunning. The cover is gorgeous. I like contemporary stories with strong characters. That is a terrific cover. I’ve been hearing a lot about this book and your review makes this one land high on my TBR list. Thanks for the post. Thank you for this MMGM post, Greg. The cover will be so appealing to readers of all ages, and I like the subject matter. Thanks! Glad you enjoyed this one. I really love the cover too. “It’s nice to have a book where the secondary characters aren’t just there to fill space.” Something I need to work on in my own writing!